With over two generations of tailoring experience you can trust that your garments will be in the hands of the most skilled professionals. Wazin's Custom Tailors offers handmade, fully-canvassed suits crafted from the finest fabrics in the world. A practical Made-to-Measure program imbued with precision and care, sure to fit your needs. You choose the fabric, you choose the style and we make you a shirt that fits your every curve. Our deep understanding of various construction techniques and finishes ranging from the english to the italian school, allow us to cater to every one of our alteration needs. Whether it is a simple shortening of sleeves or a complete re-cut we will walk you through every step of alteration for you tailored clothing, sportswear and trousers. Our services extend into alteration services for women’s garments. From special occasions to daily needs, our dressmaking team is here to attend to every detail. We truly enjoy breathing a new life into your quality garments. We love to work with you to find creative ways to restore those cherished pieces. All challenges welcome! Our custom tailoring options are a product of our generations of experience in tailoring and dress making. Distilling the myriad of options of techniques we have created two series of suits that are available for men and women. DASTY (farsi for hand applied) - A fully canvased suit made completely by hand with hand made buttonholes. This series exemplifies the nuances and character of a hand made suit that will stay with you for a lifetime. This process requires two fittings and approximately 8 weeks for completion. 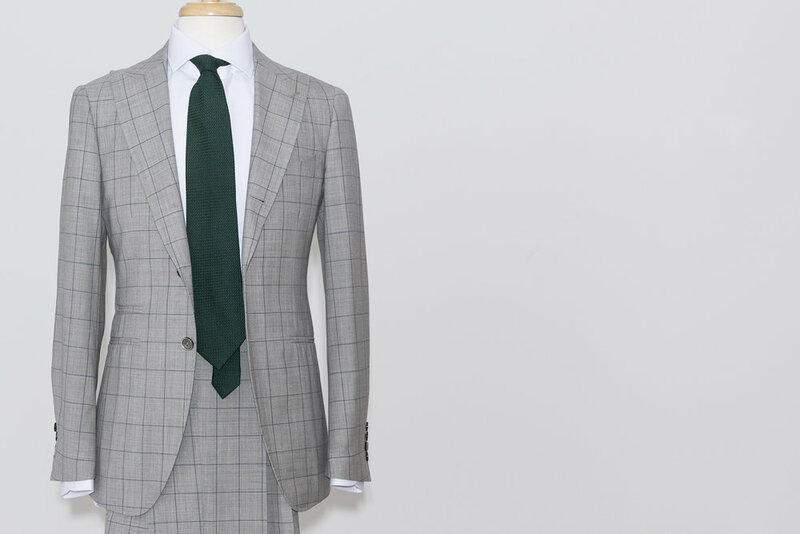 MTM suit - Our Made-To-Measure suits are a practice in precision. A fully canvased construction put together with precision machine stitching and crisp button holes. All measurements are taken off our series of base garments. This process requires one fitting and 5-6 weeks for completion. You choose the fabric, you choose the style and we make you a shirt that fits your every A range of collar and cuff shapes combined with a custom fit make for the ideal shirt for your lifestyle. We offer over 300 different fabric qualities in our made-to- measure shirt program to help you create the perfect shirt for every season.